The picture above taken at an office in the United Kingdom. With the background of a chessboard and giant chess pieces, this picture looks unique and magnificent. 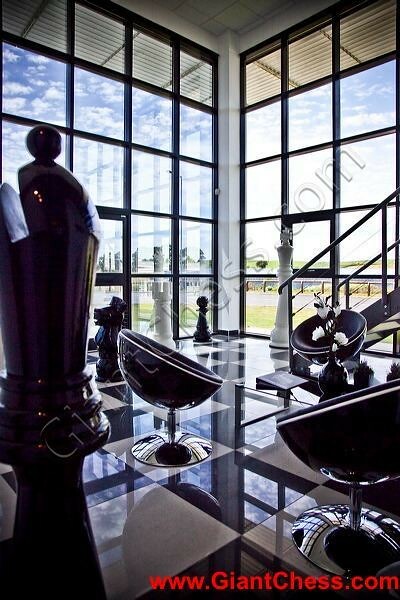 Those giant chess pieces are looks very attractive for the interior furniture. Another uniqueness is its basic wood material used. All the chess pieces are used teak wood as raw material, so that the products durable in all weather conditions both indoors and outdoors. This amazing brilliant giant chess decoration is designed in unusual shape of its size from general chess we found. The giant chess making concept is use for outdoor chess game and decoration need. You can put it at your garden, swimming pool or you can put it in your office. 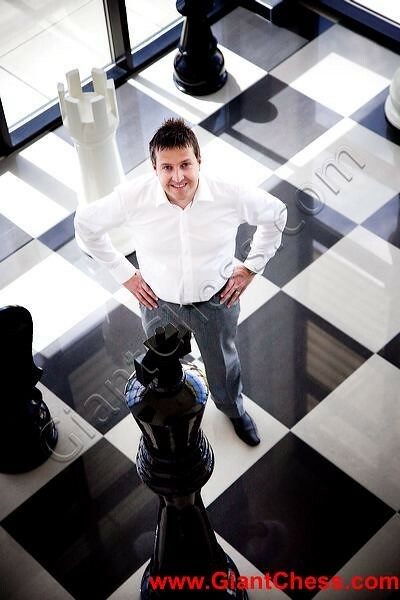 The giant chess is your brilliant choice for your interior decoration! The picture above is showing about chess decoration which met in United Kingdom. Put in office and stand at corner side, make this giant chess piece more unique and artistic. Get the other giant chess piece at our shop with great prices now! Some people say that playing outdoor chess feels more fun and challenging. Why? 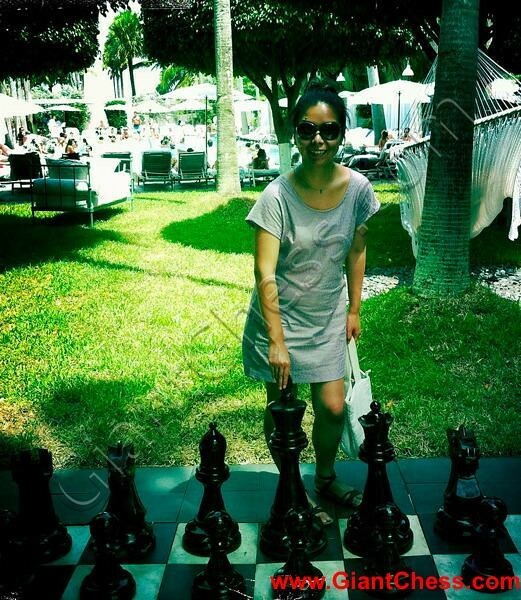 Because outdoor chess game make players more fresh in determining strategies of the game and find a new atmosphere in the game. Join in on the fun with big outdoor chess sets. Your outdoor chess game will more exciting by using those big chess sets completed with suitable chess board. While, you can play it at your garden and enjoy it with your family.